Yes, it is an ad for scotch whiskey, but you could easily stop the video before that becomes apparent. This is not so much a laugh as a smile that moves straight to the heart. Bells "The Reader" directed by Greg Gray from Velocity on Vimeo. The subtitles on An and Ria's First Flight make this video very manageable for intermediate learners, but with a little pre-viewing & pre-listening work--this video would work at any level. The video could be used in hundreds of ways. A classic type of conversation that crosses cultures. The narrator speaks quickly, but the repetition is helpful. You can have learners hold up a "fish card" everytime they hear the phrase, "I don't like fish." 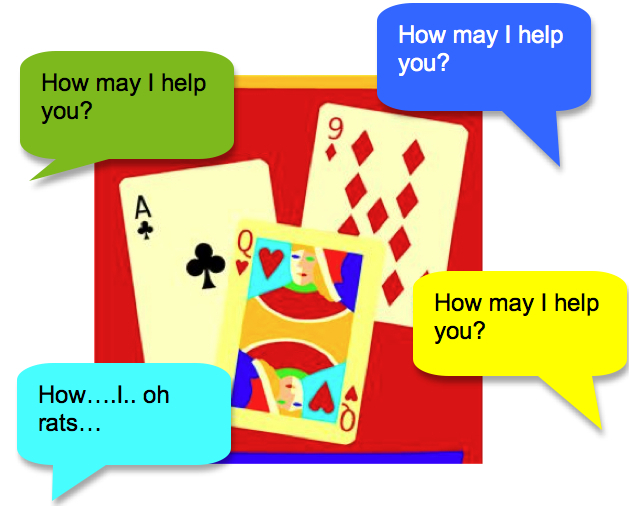 Try this listening and prediction activity on your own and then try it with your learners. (The Plain Language Action and Information Network (PLAIN) is a group of federal employees from many different agencies and specialties who support the use of clear communication in government writing. And even though you were probably one of the 87,000 people who saw this in 2010, it's simply too special not to bring back. "We are the world. We are the linguists. We are the ones who make a brighter day by making theories." Who says intonation isn't everything?